The Major Features in Postgres 11 – PDF — Bruce has updated his popular slidedeck for Postgres 10 to now focus on Postgres 11’s feature-set. TimescaleDB 1.0: A Time-Series Extension to Postgres — First launched 18 months ago, Timescale is a database built as an extension to Postgres that’s now in used in numerous large scale deployments for time-series work. Real-Time Postgres Performance Monitoring — Collect out-of-the-box and custom PostgreSQL metrics and correlate them with data from your distributed infrastructure, applications, and logs. 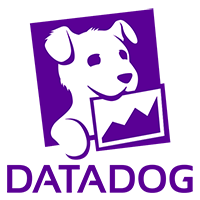 Gain real-time performance insights and set intelligent alerts with Datadog. Start a free trial. Why Covering Indexes Will Be Incredibly Helpful — A practical demonstration of the benefits of covering indexes, a new feature to Postgres 11 that let you include certain types of extra data in an index to speed up lookups. Be Careful with CTEs in Postgres — Common table expressions (CTE) can come in very handy but when used incorrectly they could cause a significant performance hit. Upgrading Postgres on AWS RDS with Minimum or Zero Downtime — A DevOps engineer shares details on upgrading databases on Amazon Cloud, why they ended up using Bucardo for asynchronous multi-master replication and how they upgraded their production database without downtime. PostGIS 2.5.0 Release Candidate 2 Released — Best served with PostgreSQL 11beta3.